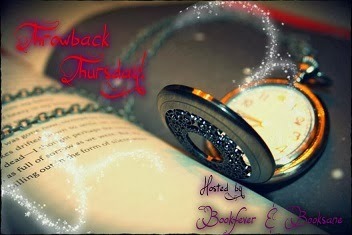 Throwback Thursday is a weekly bookish meme hosted by me and Stephanie @Bookfever where we feature books that we've read in the past but are still crazy about. It could be a book you read as a child and still remember and love or maybe just a book that you haven't read in a long time and want to show your love for.Each week we'll be featuring a new random question to answer! Naah, there's a lot of good things in this and it's just as good as the first book I think. For once the second book doesn't dissappoint, but only makes ypu want more of the series. What's one book you've read multiple times? Well, there was once where I didn't have that many books so I read twilight over and over until I got The Host also by Stephenie Meyer and read that multiple times as well. Then I started being able to buy books myself and then that got out of hand so there's not really a lot of re-reading going on. Although once in a while I do grab some of my favorite reads- like Night Huntress and read parts of it. One Foot in the Grave. Ah, classic. Still my favorite in the series. Chapter 31!